According to the documents submitted to TSE by NTT Data on Monday, it claimed to acquire Dell IT service at $ 3.055 billion, reported at evening news on March 28, Beijing time. 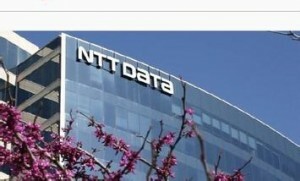 NTT Data pointed out in the documents that the acquisition is to strengthen its business in northern America market and further enhance cloud service and BOP service. There is no specific data of acquisition stated on the documents. The documents showed that NTT Data will employ its current northern American and Indian 28,000 employees as a part of the acquisition. This acquisition could be the biggest merger and transaction for NTT Data. The acquired IT service would help NTT to enhance its revenues that are out of Japanese market. Due to the population decrease and aging problems, Japanese economy got effected. The predecessor of Dell IT service department was called Perot Systems. It was acquired by Dell with $3.9 billion in 2009. Perot Systems mainly offered technical consulting service for hospitals and government departments. It was considered as Dell’s non-core business. Dell is in debt after it acquired EMC. Selling its IT department could release some financial stress from the EMC acquisition. Dell announced to acquire EMC with $67 billion in October, 2015 which was the biggest transaction in the worldwide technical market. Dell will be in $49.5 billion debt when the acquisition is completed. It was reported in last November that Dell would sell about $ 10 billion non-core assets, including software and service. It turned out to be true. Nikkei reported today that Nintendo plans to stop producing Wii U by the end of this year. It is likely that it launches the unrevealed NX device then. Nikkei once precisely reported the plan that Nintendo did not confirm yet. It claimed that the sales growth of Wii U slowed down a bit, and it seemed hard to change the situation, Nintendo decided to stop producing such gaming console. Nikkei did not mention when NX device will be released or when Nintendo plans to stop selling Wii U to consumers. It is said that the NX device applies the advanced technology which mixed by game console and mobile device. The rumor indicated that NX devlice will be released late this year. Some report suggested that the new game Legend of Zelda made for Wii U will be transferred to NX device as well. Wii U was released in November of 2012. Nintendo sold 12.6 million Wii U around the world till 31st December, 2015. Wii console received the sales volume of 101 million units. Wii is popular console around the world. 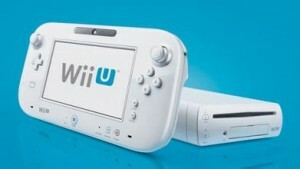 Wii U faces much pressure to catch up with the sales volume of Wii. The sales of Wii U does not seem positive. It has been releasing for one year, but its sales volume is far behind PlayStation 4. According to the latest statistics from Sony, it sold about 36 million PlayStation 4 consoles. Microsoft has not revealed the sales volume of Xbox One yet. It is said that such device has been sold over 18 million units. Nintendo once claimed that it will announce the details of NX device later this year. The public assumed that it will announce its real name for this device then. It is possibly that Nintendo introduces this device at E3 conference in this June. Twitter took the drop of 140 character limit into consideration for a long time in order to obtain more new users. Its proposal has been criticized by its existing users and investors. 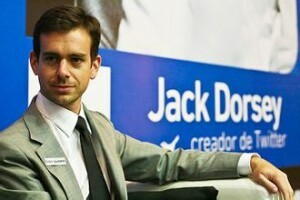 CEO Jack Dorsey claimed that Twitter won’t drop 140 character limit when he was interviewed by NBC. Twitter recently welcome its 10th anniversary. He said:” It’s a good constraint for us. It allows for of-the-moment brevity.” Twitter won’t drop its iconic feature and increase its characters to 10,000. It has been rumored that Twitter planned to drop 140 character limit in the beginning of this year. Its future character might be increased to 10,000 characters. The rumor suggested the new feature would be effective on March. Twitter wished to attract more users and enrich its platform by this measure. However, such suppose was against by Twitter users and investors. They complained if Twitter drops such iconic feature, this platform will be more alike Facebook. It was reported in February that Twitter would like to re-design its timer shaft. Dorsey confirmed that the company had not plan to adjust its timer shaft next week. Many of Twitter’s products have been modified since Dorsey took over CEO last October, such as it launched Moments. Regardless of its financial issues inside, Dorsey feels optimistic towards its future. He expects Twitter still the most powerful platform in 10 years. Twitter is a fundamental service. He claimed that they know what it is and what it presents. Its global career is just in the beginning stage. According to BuzzFeed report, American cloud storage company Dropbox plans to authorize the sales of a batch of shares with 34% off. It seems that the company faces with valuation pressure. It sets the price at $12.6 per share, selling in the secondary market by shareholders. Dropbox priced its share at $19.10 when it sold to large-size investors in C round financing in Jan., 2014. EquityZen is responsible for this deal which helps the startups employees and shareholders to sell the undocumented shares. EquityZen stated on its official website that all stock exchanges made on its platform are authorized by related enterprises. Dropbox was established in 2007 that locates in San Francisco. The high valuations startups face adverse condition as its $10 billion valuation was doubted. It reported last autumn that two mutual fund companies reduced 20% off Dropbox’s valuation. Then a third mutual fund company reduced 51% off its valuation. It is hard to valued the startups due to the lower turnover rate. Many of Dropbox investors could refer the case of Box. The share price of Box decreased by 47% in comparison with its closing price that it went public on the day in 2015. The investors who involved with this deal won’t be able to purchase shares directly. They have to buy EquityZen funds and then use those funds to buy the shares. The investors are under a weak position if they buy the shares by this mean in comparison to the directly investment of Dropbox with capital. EquityZen stated in the papers that this investment won’t include any specific details of Dropbox’s financial condition. US second largest group-buying website LivingSocial is working on a new round reorganization in order to contain the business decline. LivingSocial cut 280 jobs, accounting for 50%-60% of its current workforce. About 120 of customer service positions are replaced by outsourcing contactors. LivingSocial once was the most excellent company in E-commerce industry. It was the most competitive rival of Groupon. 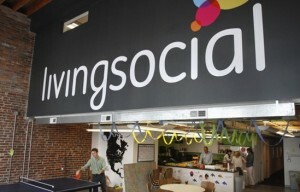 However, LivingSocial is going to recruit 200 to 250 new employees after this staff reduction plan. CEO Gautam Thakar addressed when he was interviewed by the medium that the company made balance for its voucher business. It plans to put all investments on card-linking discount in the near future. The card-linking business is testing in three major cities now. It offers discounts for LivingSocial clients when they check in hotels. The registers only need to show hotel staff the LivingSocial registered credit card, then pay for the hotel room. The specific discount amount and discount date are made by the hotels. Thakar suggested that the company is looking for more investors for equity trading. If it comes successful, LivingSocial will make full use of those capital to explore new business in new cities and invest on business in new industry. He added that reducing jobs doesn’t mean the company is on sale. There will be related negotiations concerning financing. LivingSocial has financed $900 million from Amazon, JPMorgan Chase, Lightspeed, Venture Partners and so on. In fact, this is the third time LivingSocial cut workforce since Thakar works as CEO in a year and a half. He laid off about in a total of 900 employees. Mobile payments are more popular now. Apple Pay, Android Pay, Samsung Pay, Alipay or Wechat are the acceptable payments nowadays. They are welcome by consumers and merchants as they offer much convenience. Amazon is now working on a new technology that shoppers could verify their purchases by snapping a selfie in the near future. According to the report of Re/code, Amazon has submitted a patent application for an advanced facial recognition system for check. It is said that this advanced facial recognition system is similar to the biometric security solutions that has already used on some smartphones and laptops. It requires users to smile or wink to pass the facial recognition. If not, the system could not recognize the selfies whether they are from the owners. Amazon suggests that the new technology is more secure than a traditional password as password could be hacked while a person’s face is not. The facial characters could be a bit different for the twins. If this technology is approved, it could be used in stores, restaurants and cafes. For online shoppers, they could also store it at home with a secure internet environment. Mastercard and Alibaba are said to be exploring the passibility of selfie payments except for Amazon.Are you comfortable to pay by selfies in the future? 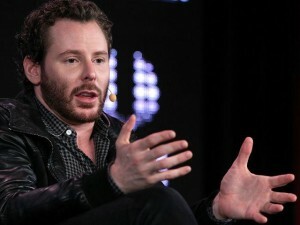 Sean Parker talked about the development of Twitter. The stock price of Twitter has been flucuating recently. 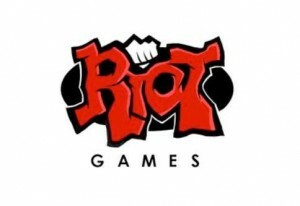 It seems that its user grow is saturation. Sean Parker is ex CEO of Facebook, the co-founder of Napster. When Parker was interviewed concerning the future of Twitter. He explained the current situation that Twitter met. Parker claimed that the key challenge is the application of medium and stars. The user growth of Twitter is fast. If it considers the medium and stars as the core, it could be grow as fast as Facebook. Twitter is a victim for its success. If there are medium to report Twitter’s news, Twitter could not obtain so many users. Twitter paid a lot for this. Users have fewer deep connections. Twitter can not precisely reflect the reality social relationship between users. It lacks of the intimate interaction onthe same levels. If it loses the interactions between stars and medium, Twitter is hard to be survived. The interactions among Twitter, medium and stars is the limitation of ths platform. His explanation makes sense. The experts criticized Twitter for some time that the connection between its product and ordinary seemed less important. Medium and stars are not ordinary people. What Jack Dorsey needs to do is to fix the connection with ordinary users for its products. It has been a year that Apple Watch on the market. It is unlike iPhone or iPad, Apple Watch is newly brand for Apple. It suprised that this wearable plays an important role users daily life. Different people have different opinions about the understanding and application of Apple Watch. Most of people are awared of its health feature which is applied most. It is a type of fitness product. Apple Watch could access to some places that iPhone can not due to the wearability. It sounds fantastic to the users as Apple Watch has experienced much with them. It was reported that Apple Watch saved the life of a 64-year-old senior . There were also some similarstories after that. A 62-year-old construction worker, Dennis Anselm who is from Edmonton, Canada felt sick last August, and Apple Watch checked his heart rate reached 210 times per minute. He went to the hospital for a body check immediately and did related operation. A student who is from Tennessee and suffered QT before. He felt uncomfortable someday when he was alone at home. He checked Apple Watch and found his heart rate went to 138 times per minute. He was diagnosed as atrial fibrillation. Apple Watch gave them extra suprise. It provides the ordinary daily data support which is concerned by its users. That is the significant feature of Apple Watch. Apple Watch applies the blue LED light to work with photoreceptor to test the blood flow. The more blood flow it goes, the more LED absords and fewer heart rate interval. 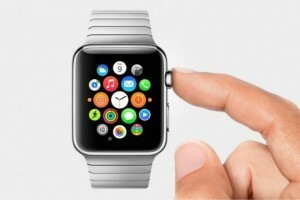 What’s more, Apple Watch’s heart rate sensor could increase LED brightness and sampling frequency. Windows system played an important role for Microsoft’s revenue in the past. However, it only accounts for 10% of Microsoft revenue now. Steven J. Vaughan-Nichols wrote on Computerworld and stated that Windows system gets less attention from Microsoft now. Microsoft is becoming cloud computing and service company. Windows OS made a great contribution to Microsoft’s revenue for a long time. It was a ready source of money for Microsoft. Windows 10 has been improved a lot in comparison with its predecessor Windows 8. However, the most profitable sections are Microsoft server and cloud computing in Q4 2015. The second profitable business goes to Xbox. Microsoft sold a great amount of Xbox games and it just acquired Mojang who launched Minecraft. Microsoft Office also made better performance than Windows OS. Windows os ranks fourth for revenue contribution. Windows Vista and Windows 8 encountered failure for obtaining more user share. It launched Windows 10 last year, it helped a bit. Even though Windows system is still the most popular PC OS, the consumers get attracted by mobile OS much with the development of iPads and smartphones. Preston Gralla said the future of Microsoft is related to cloud computing technology. Windows OS may be just the accessory of Microsoft someday. The revenue of Windows OS decreased by 5% (YOY) in last quarter. While the revenue of cloud computing increased by 5%.The sales of Azure increased by 140% (YOY). Satya Nadella addressed at the analyst conference that enterprise cloud computing has more chance to obtain more market share. The market share of Windows OS may keep declining in 2016. Let’s see how things go on.